You are welcome to use the material on this site in presentations, lectures, or publications provided that you include an appropriate citation. 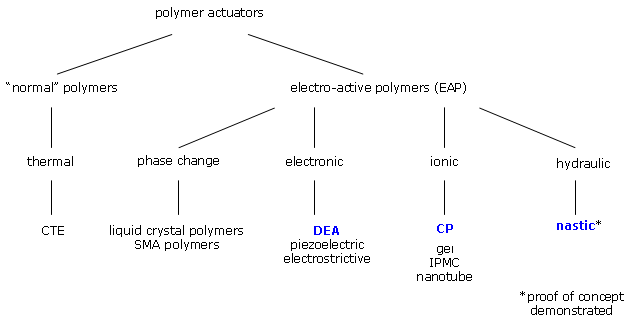 An overview of the different types of polymer actuators is shown below. Our group works with the types highlighted in blue.